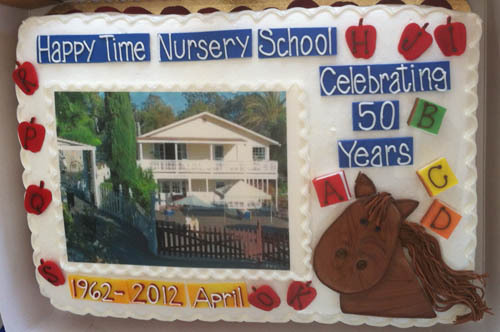 Happy Time Nursery School is located just two minutes from downtown Rancho Santa Fe. 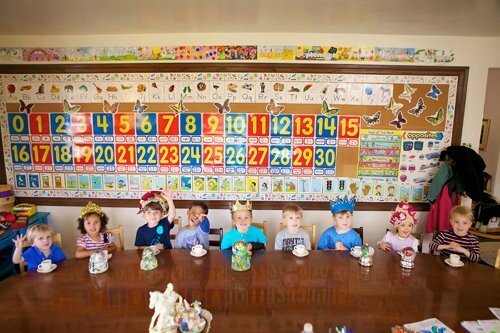 Make an appointment today to come and see the most magical preschool in Rancho Santa Fe. Your child is welcome to tour the school with you. We offer 3 different options for our preschool program, based on availability, 5 days per week, 3 days per week and 2 days per week. Tuition includes all enrichment programs: Pony lessons on Monday and Tuesday, music class on Wednesday, gymnastics classs on Thursday, art classes on Thursday and Friday, Spanish class on Friday. Nutritious snack is provided by the school every day. Enrollment Fees: Happy Time Nursery School requires a one time $600.00 enrollment fee due at the time you sign up your child regardelss of the start date. If you withdraw and re-enroll your child a $350.00 re-enrollment fee will apply. prior to the first day of school.